Pecha Kucha is an unconference which encourages people to present their creative ideas. In the spirit of the season, it follows the 20:20 format. Each presenter should have 20 slides and not more than 20 seconds per slide. So, that’s 6 minutes and 40 seconds is all that a presenter gets. You can learn more about the event here. 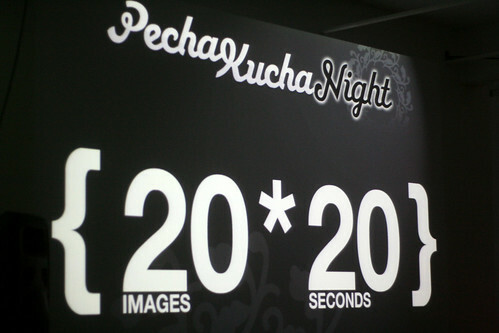 Pecha Kucha is pronounced ‘Pe-chak-cha’ which in Japanese means chit-chat or the buzz of discussions. Pecha Kucha has caught my interest for the main reason that it focuses on creativity. I’ve found that creativily bent people are some of the most interesting folks to meet. 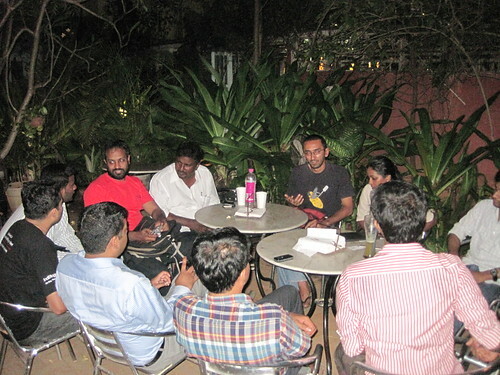 Unfortunately, there aren’t many events in Chennai that brings such folks together. PKN attempts to fill that void perfectly. PKN has taken place in over 291 places around the world. The events takes place in diverse locations from a design studio to open lawns to pubs. The PKN events are famous for creative posters that advertise the event. One such is here. We are looking for creative folks to design posters for the Chennai event. If you are game, please raise your hands. Would love to hear from you. Yesterday a bunch of volunteers interested in bringing this global creative event to Chennai met up at Amethyst to plan for the event. We had a productive two hour discussion. It greatly helped that some of the folks had attended PKN in Tokyo, Seattle and Tampa and had some good learnings from those. The PKN Chennai event will take place on May 15th. As for venue, we are checking out a few options. Alliance Francaise, Max Mueller Bhavan, Japanese Consulate, Madras House, a design studio in Alwarpet, a futuristic research and development lab in a large IT company and even a large badminton court. We will nail the venue in the next two weeks. We are on the lookout for creative folks from diverse backgrounds. If you know someone, do sound them out about Pecha Kucha. If you are one, do consider presenting at the event. More info on the event will be announced soon. Meanwhile, do check out the site http://www.Pecha-Kucha.org to learn more about the event and the format.